I'm a big fan of the Schmidt-Rubin K31. As far as cool domestic swiss auto mtgs, there's always Rinspeed. Q: How are modified cars handled in Switzerland? In the US, only a few states have a "safety" certification (Hawaii is the only one I can recall which prevents you from lowering your car too much). At one extreme, CA requires that any modification to emissions equipment (that includes everything from the intake filter/tube to aftermarket turbos) to have a certification stamp (which costs the mfg money so most skip it). This precludes most car mods beyond cosmetic/suspension BS. Most other states don't care as long as your car passes the "sniff" test (meaning your modded clear is no worse than the stock car in terms of emissions). They have to get all modifications authorized otherwise the police can confiscate the vehicle if they catch them for example with bigger exhaust pipes than the paper says. And we have a similar group here that we call "ricers" that do the same thing! Since your country is so restrictive on modifications AND you also are interested in driving something unique (and potentially turbocharged), I guess you are left looking for vehicles that are interesting from the OEM. Q: With an oddball car, do you plan to do any repair work yourself or do you plan on hiring a mechanic for most jobs? This might restrict the age and/or complexity of the car you want to look at finding. 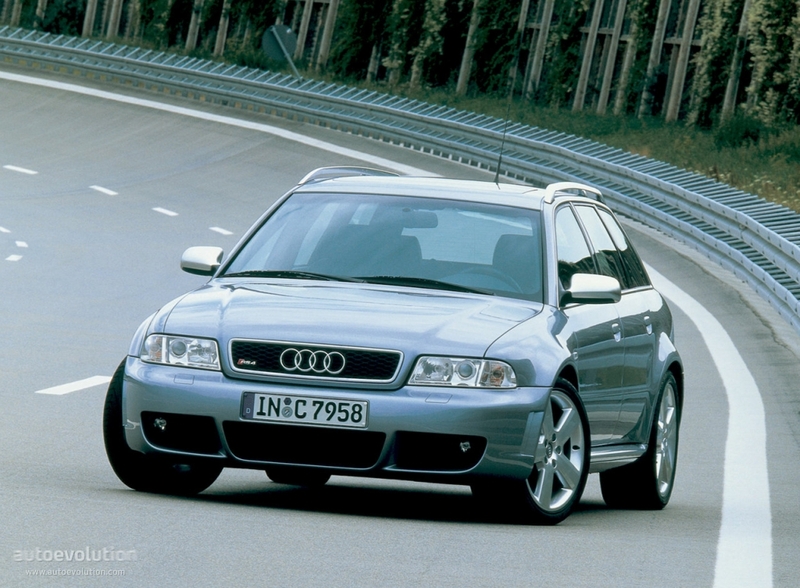 2000-2001 Audi RS4 (not avail in US) but adds practicality b/c it's a wagon, too. I own one. Not the most easily serviced cars (and lots of little bits fail over time) but a) they are cheap now, b) common enough that parts/expertise sourcing shouldn't be an issue), and c) pretty fun to drive because of the Biturbo V6 + AWD. Thanks, not necessary anymore, I decided to buy it!! I really look forward to my TC, I will wait to pick it up till march when usually the weather is better and not so cold, as I will only drive it in good weather. To the cars above: My brother once had a Renault Alpine (older than the depicted one); it was fast, about the same as my fox body Mustang I had at the time. He sold it when he realized how expensive the tyres were as they had to be custom made...! Congrats on the purchase of your dream car! Enjoy! BTW, if you need any parts for your tbird, one of the more popular sites we use here in the US to buy car parts affordably has been rockauto.com. You can always find a 5% off coupon. Stick with Motorcraft parts whenever possible - to maintain the originality of the car. I actually just got a warning for " illegal modifications "
It was a wisconsin highway patrol and said my exhaust is too loud, even though a big dumb black smoke blowing 6ft high diesel was in front on me..
Anyways he actually had me start it,rev it and looked at my exhaust..i tried saying I only had cats and stuff and meet emissions standards but he said that didn't matter..he even said my engine was loud enough to get the same ticket..wtf? Lol I'm gonna find the warning and post a pic of it too..
And one over seas car I've always loved is that 4wd turbo 90s ford focus ...that thing was cool. Oh yes, i forgot that one. that's definitely one on my lottery winner wishlist. I've even toyed with the idea of buying a Merkur XR4TI as a chassis donor for my next lemons car if the tbird dies. Ken Block bought the Group A ver of this car and brought it to the Hoonigan garage. Thanks guys! The exact dream car would have been the manual in black, but you can't have everything in life and I thought it's close enough. In other words, I could never have forgiven myself (is that the right grammar??) not having taken this chance to buy it as it will hardly come again. I could never have forgiven myself (is that the right grammar??) not having taken this chance to buy it as it will hardly come again. I would have phrased it, "I could never have forgiven myself if I had not taken this chance to buy it, as it will hardly come again." 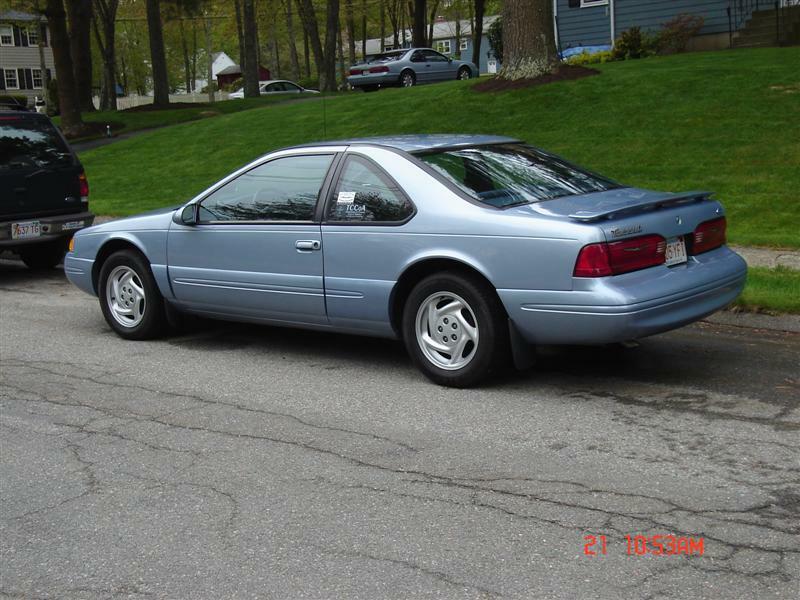 I've even toyed with the idea of buying a Merkur XR4TI as a chassis donor for my next lemons car if the tbird dies. The XR4TI was a piece of junk. An old friend had one, and he had to replace every single part on the car. Buyer beware. It was modified, and pretty quick, with a lot of torque. But that's about it. Here are a couple of up-to-date pictures for those who are interested. I kept everything original and put around 500 miles on it this summer (it now has almost 1400 miles in total). It's a beautiful drive, pretty luxury and no problems so far (knock on wood). I still wish it would be a manual because the automatic is a bit nervous (shifts down too quickly) as I expected with 4 cylinders. But one can't have everything, it's still a dream come true. I took it to a couple of car shows but most people walked by not giving it much attention, some ignoring it as this T-Bird were a Camry or something!! One organizer even told me that this car is too new for classic car shows, cars have to be old not rare, weird guy... On the other hand some really appreciated it but there were not many, it's a car for people with special interest or taste. Car looks sharp! Have never seen one that color.